University of Illinois Extension Plant Pathologist Nathan Kleczewski recently conducted an interview through the Illinois Extension news service regarding pre-season management and preparation for tar spot in 2019. The Crop Protection Network (CPN), a collective of multiple land grant universities across the region, published two new resources for Iowa farmers detailing tar spot in corn, caused by phyllachora maydis, and soybean seed quality for 2019. The follow-up to this summer's 'Sporecaster' smartphone application, designed to help farmers predict the need for a fungicide application to control white mold in soybean, is now available for download. With all eyes now on harvested grain quality and scouting for mycotoxins as a result of ear rot, it's important that producers and agronomists have access to all the information possible, on whichever medium they prefer to use. The University of Illinois, Urbana, is seeking assistance from its friendly neighbor to the west, the corn-state of Iowa, in locating samples of tar spot in corn. This is part of the university’s new research project investigating the genetic variability of the tar spot pathogen. 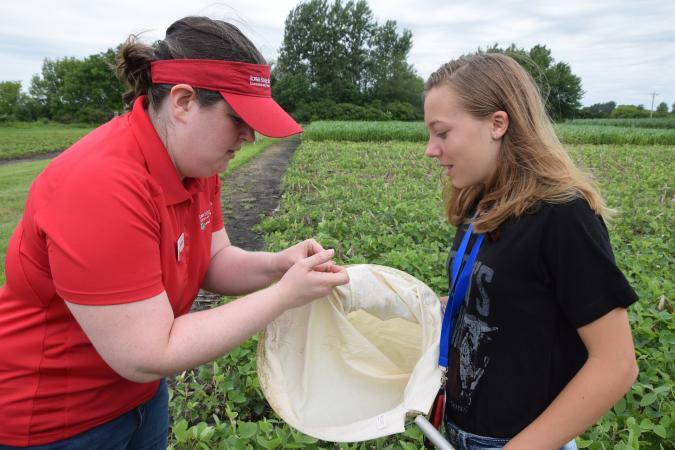 In June, as part of the annual Iowa 4-H Youth Conference, 13 students participated in the CSI: Crop Science Investigation workshop. The Iowa State University Integrated Pest Management (IPM) program is expanding its social media footprint to now include Facebook. If you follow our content on Twitter (@ISU_IPM) then be sure to give our page a like to stay connected.